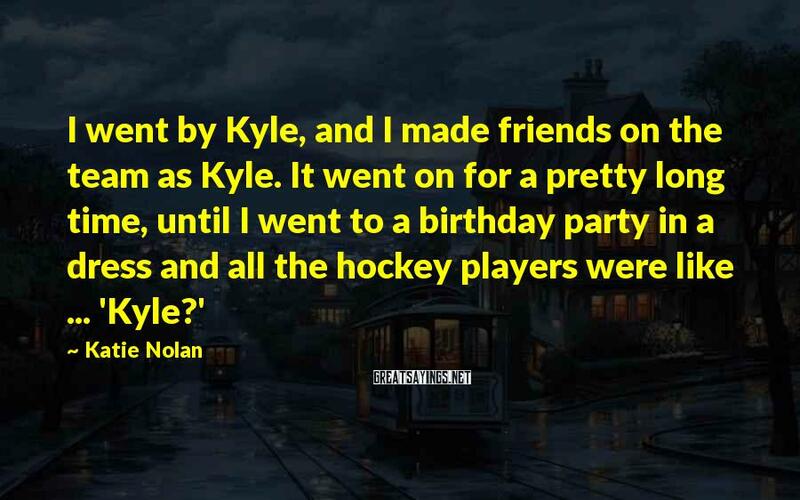 34 Katie Nolan Famous Sayings, Quotes and Quotation. 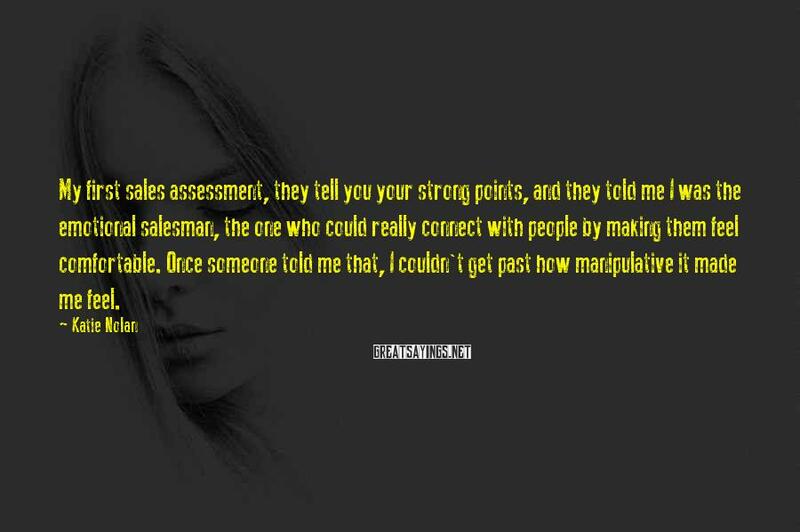 My first sales assessment, they tell you your strong points, and they told me I was the emotional salesman, the one who could really connect with people by making them feel comfortable. 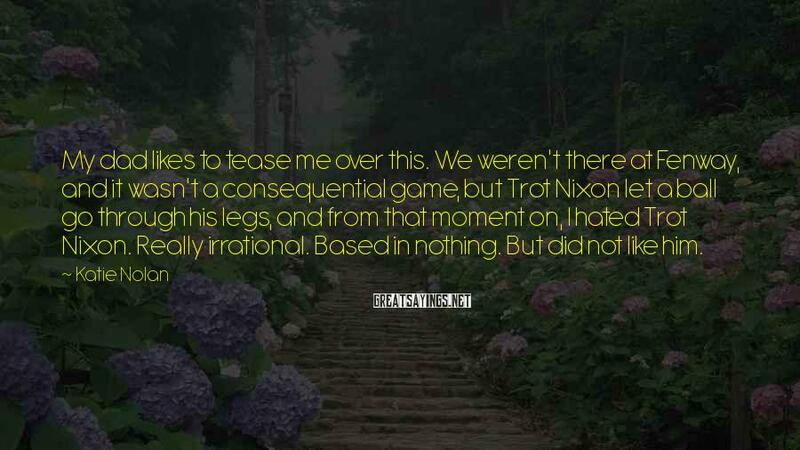 Once someone told me that, I couldn't get past how manipulative it made me feel. 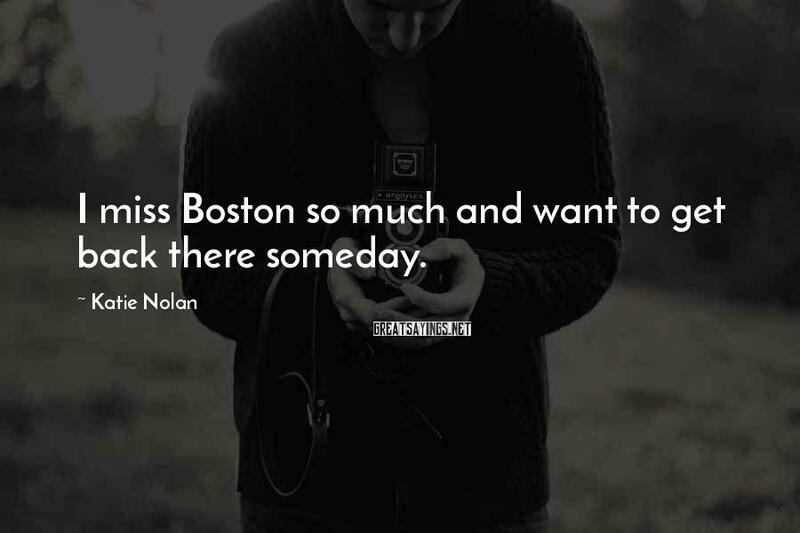 I was bartending in Boston five, six nights a week, living in my grandmother's condo. 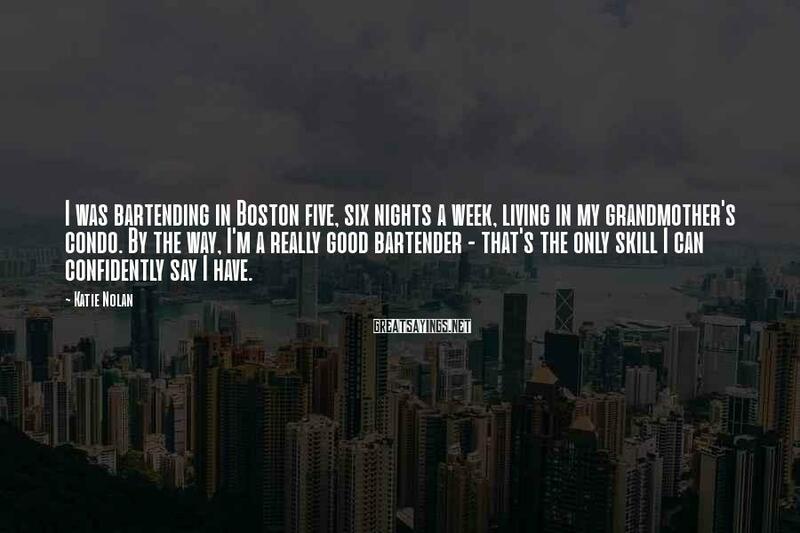 By the way, I'm a really good bartender - that's the only skill I can confidently say I have. My dad likes to tease me over this. We weren't there at Fenway, and it wasn't a consequential game, but Trot Nixon let a ball go through his legs, and from that moment on, I hated Trot Nixon. Really irrational. Based in nothing. But did not like him. There are a lot of interesting differences between Boston and New York in general, and I think they're sort of heightened in Long Island. 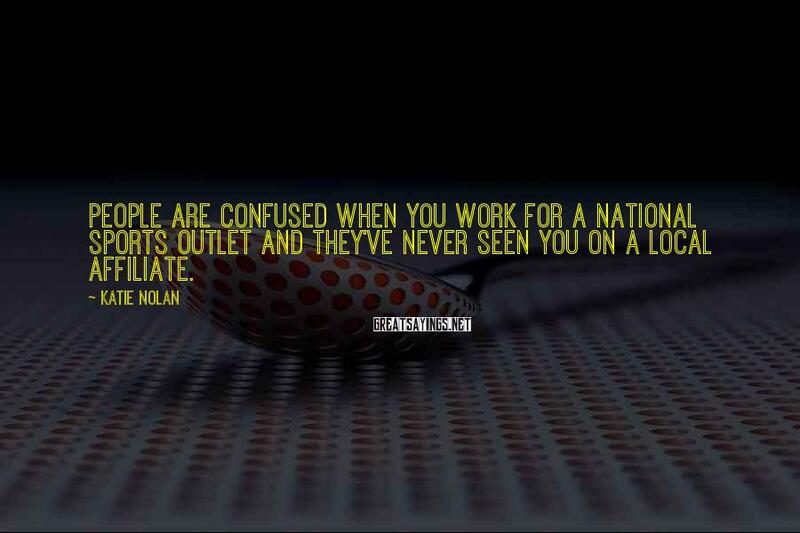 People are confused when you work for a national sports outlet and they've never seen you on a local affiliate. 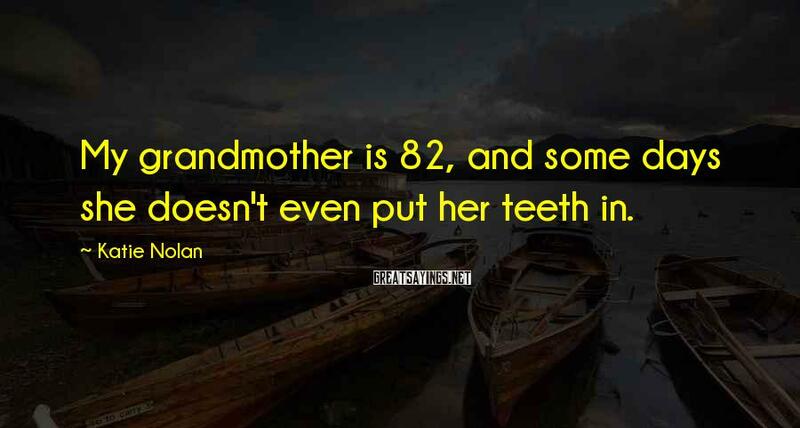 My grandmother is 82, and some days she doesn't even put her teeth in. 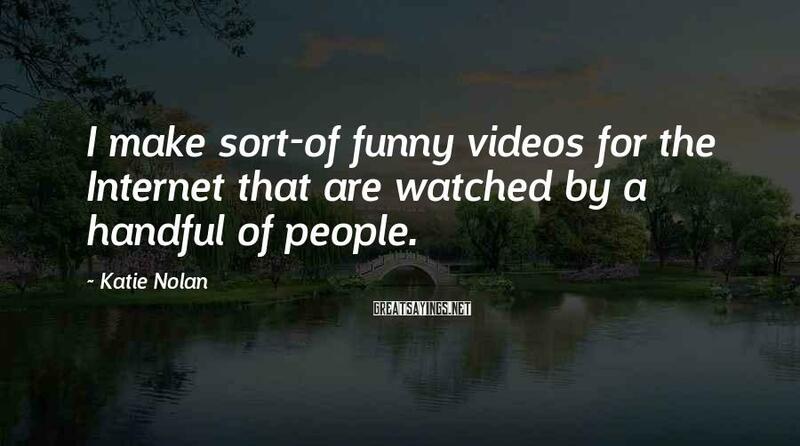 I make sort-of funny videos for the Internet that are watched by a handful of people. 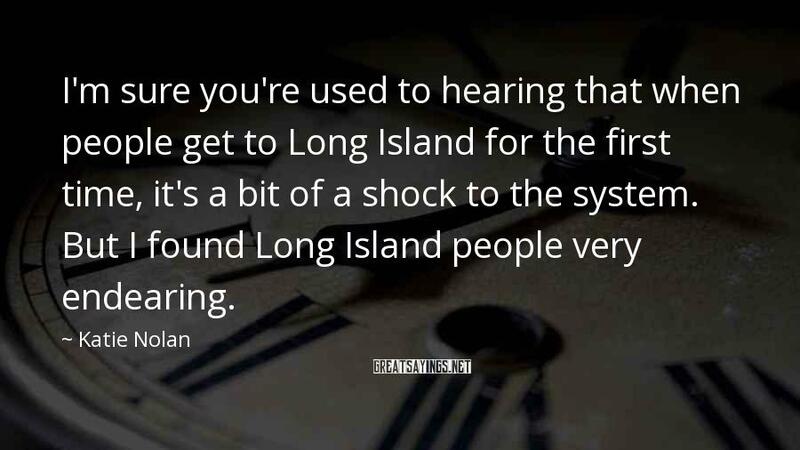 I'm sure you're used to hearing that when people get to Long Island for the first time, it's a bit of a shock to the system. 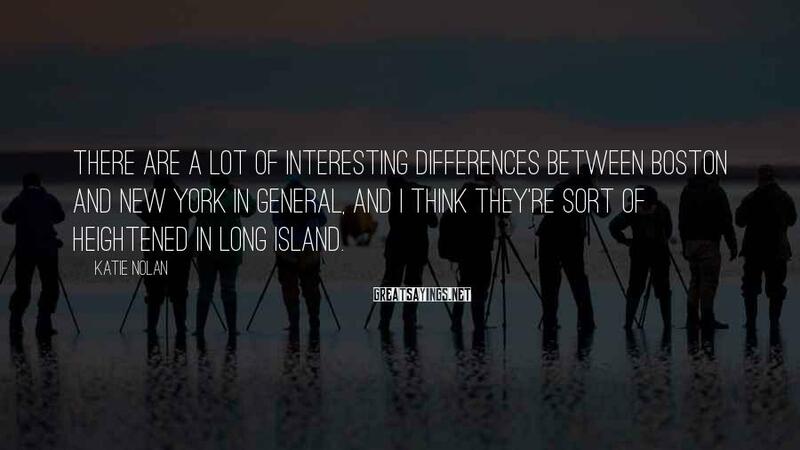 But I found Long Island people very endearing. 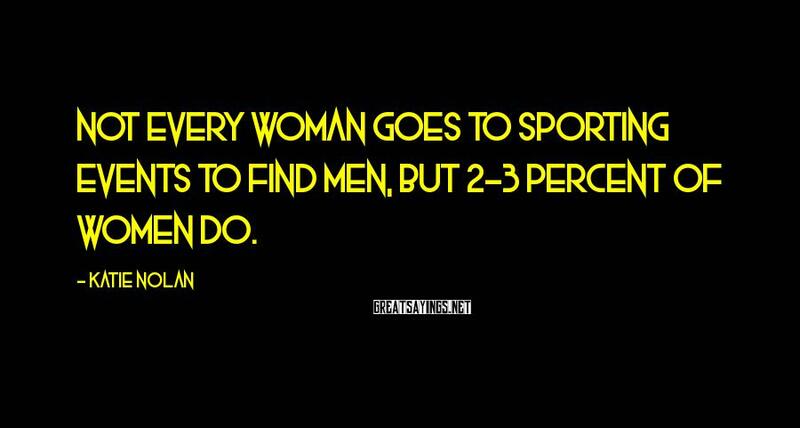 Not every woman goes to sporting events to find men, but 2-3 percent of women do. 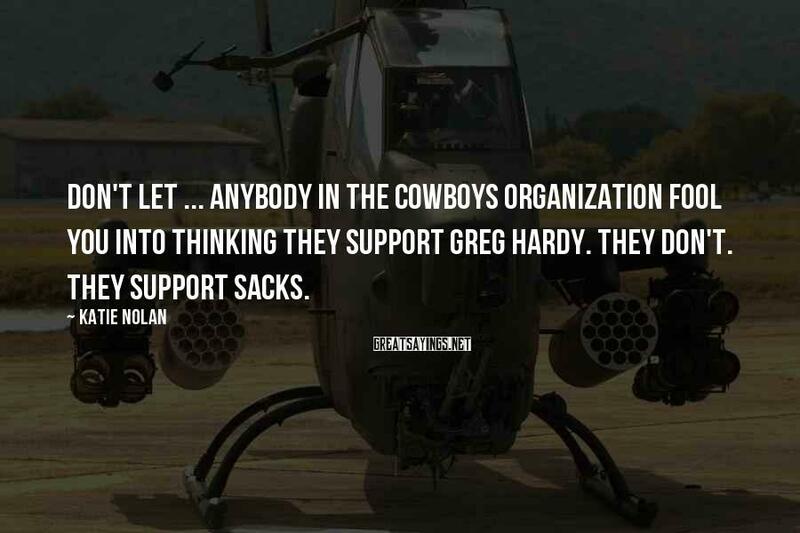 Don't let ... anybody in the Cowboys organization fool you into thinking they support Greg Hardy. They don't. They support sacks. Am I the next Bill Simmons? I don't think so. I haven't built a media property. 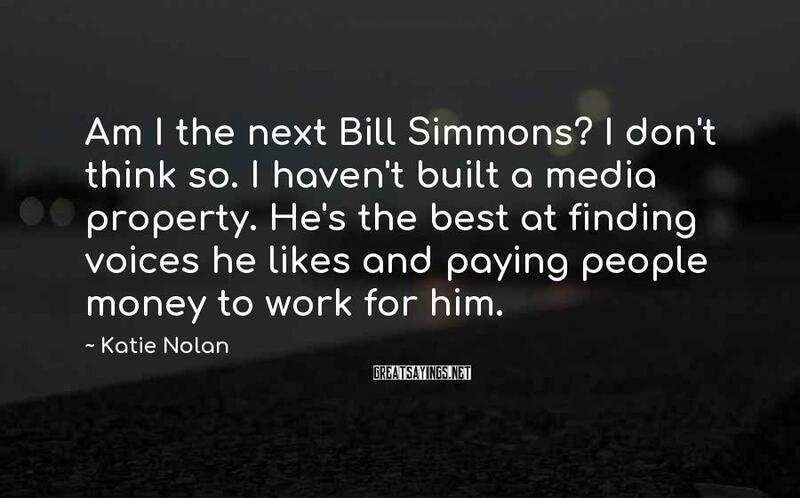 He's the best at finding voices he likes and paying people money to work for him. 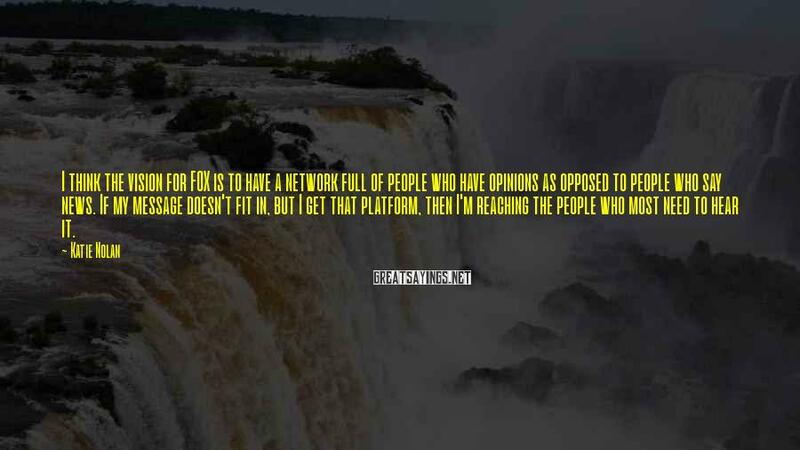 I think the vision for FOX is to have a network full of people who have opinions as opposed to people who say news. If my message doesn't fit in, but I get that platform, then I'm reaching the people who most need to hear it. I'm so jealous of people who in second grade knew what they wanted to do. 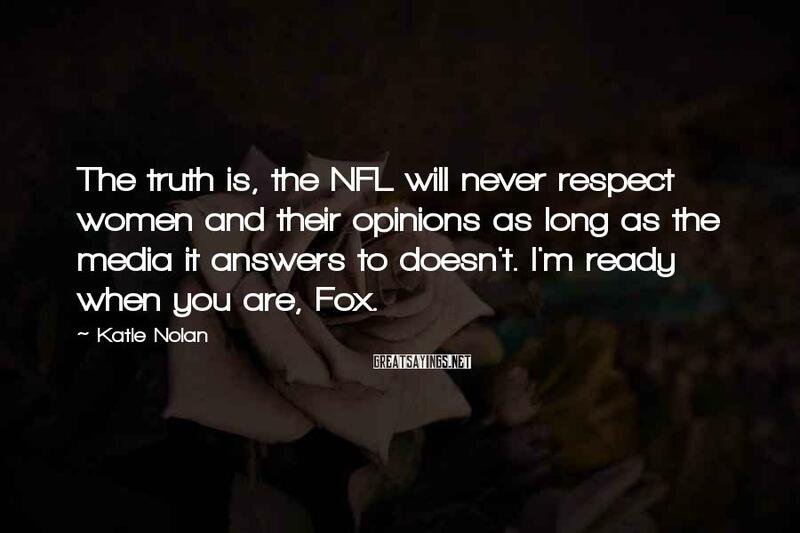 Women in sports television are allowed to read headlines, patrols sidelines, and generally facilitate conversation for their male colleagues. 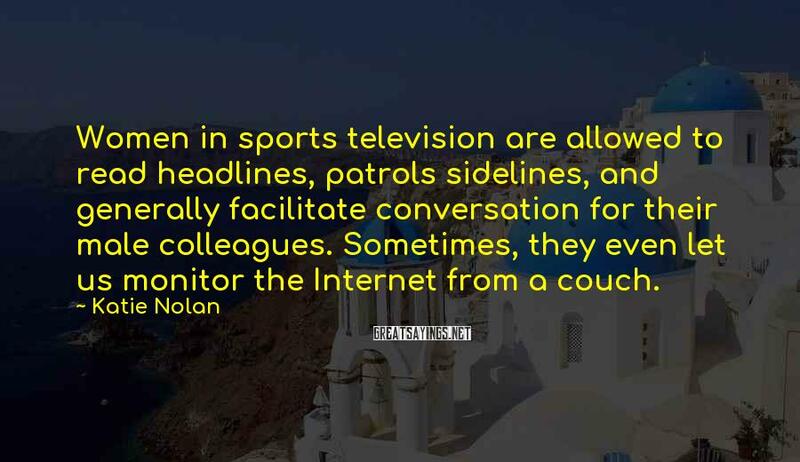 Sometimes, they even let us monitor the Internet from a couch. 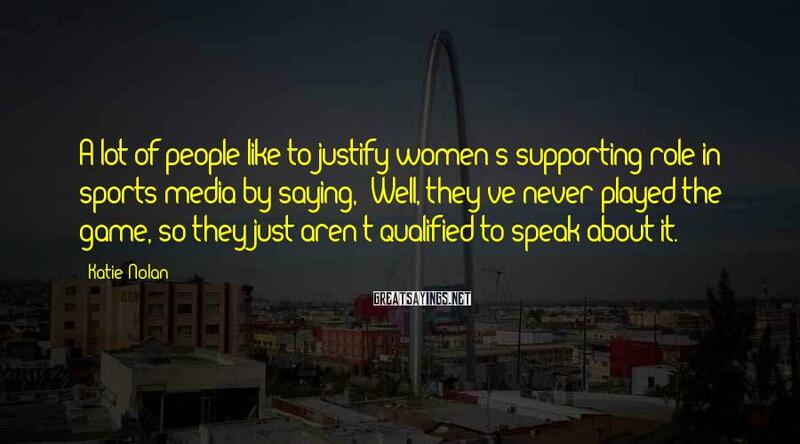 You are not just a funny person or just a journalist. 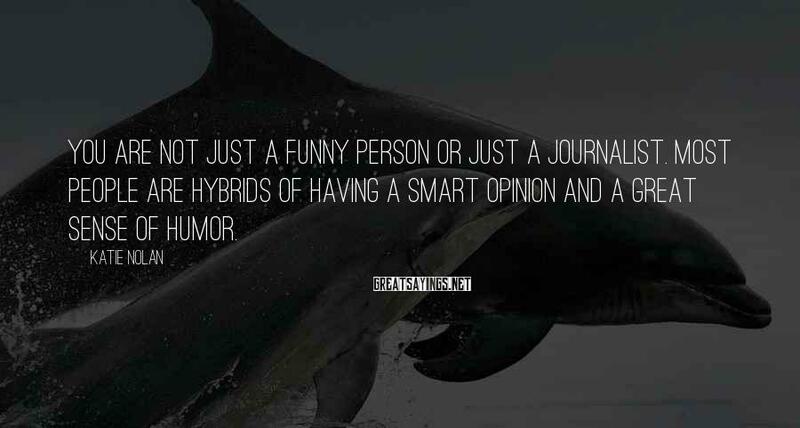 Most people are hybrids of having a smart opinion and a great sense of humor. I try to limit my time with Michael Davies to as little as possible per week, and he is pretty good with that, since he has a bazillion things to do. When I do see him, I try not to talk about dental work or anything like that because I know the Brits get very sensitive. 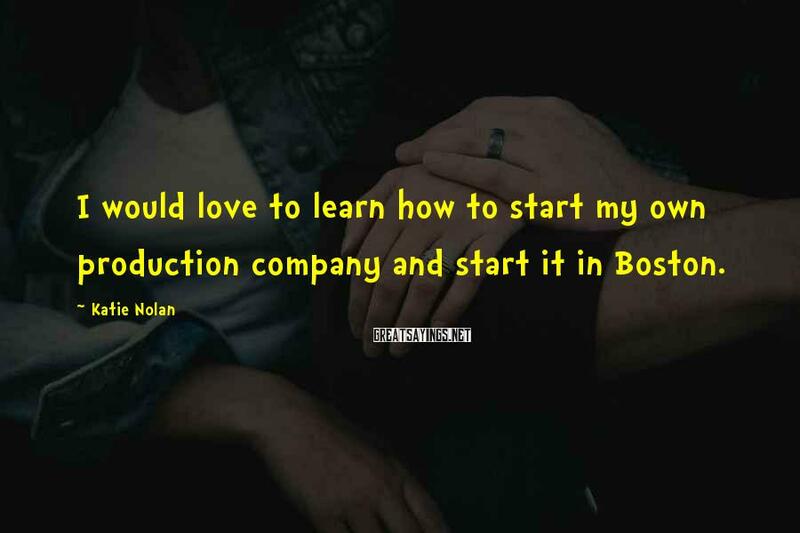 I would love to learn how to start my own production company and start it in Boston. I make funny videos. I hate saying I'm a comedian because then people stick their finger in your face and demand you tell a joke. 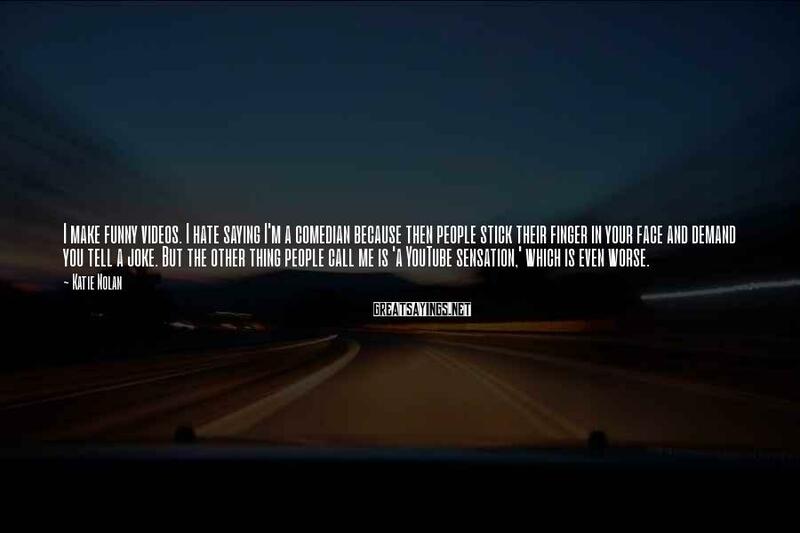 But the other thing people call me is 'a YouTube sensation,' which is even worse. 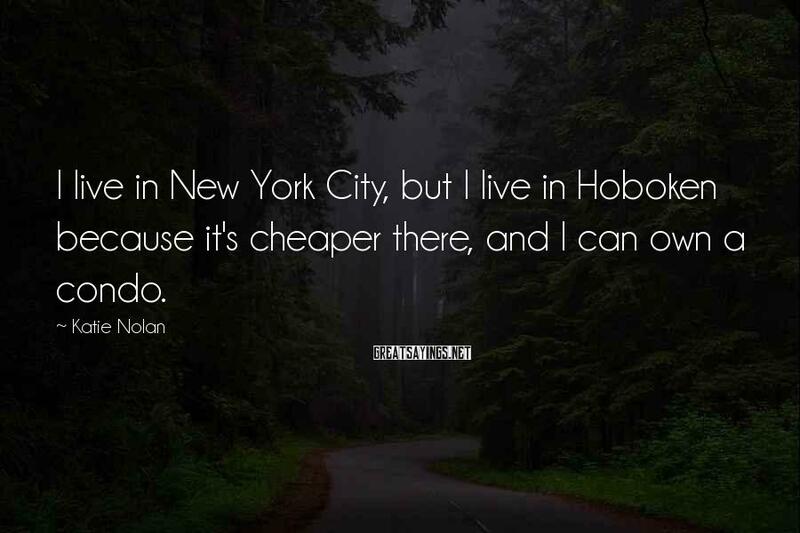 I live in New York City, but I live in Hoboken because it's cheaper there, and I can own a condo. 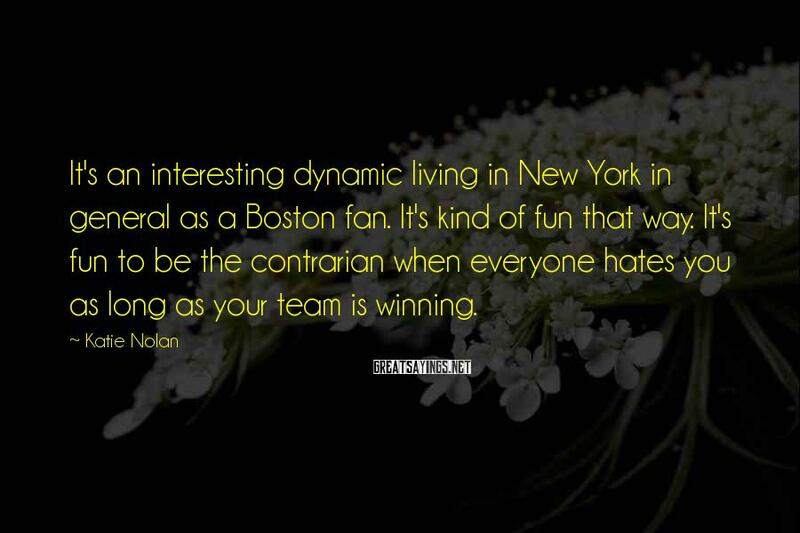 It's an interesting dynamic living in New York in general as a Boston fan. 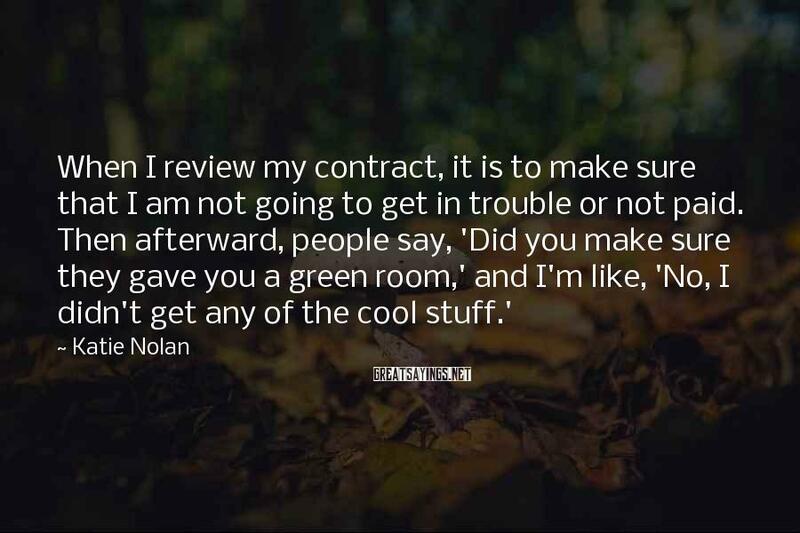 It's kind of fun that way. It's fun to be the contrarian when everyone hates you as long as your team is winning. I wanted to go to school for public relations, and I also wanted to minor in dance. 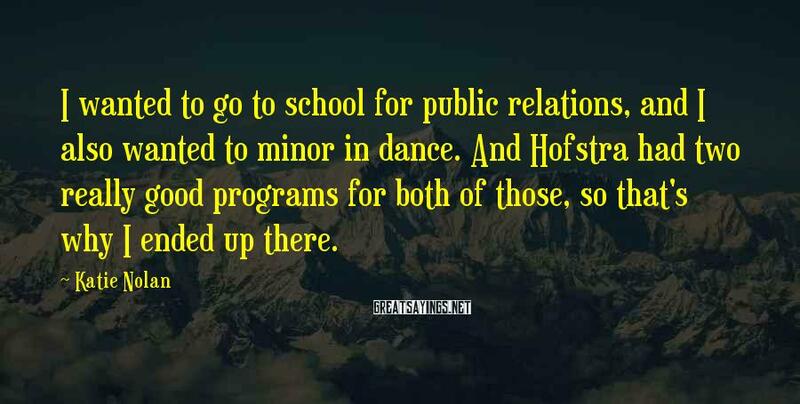 And Hofstra had two really good programs for both of those, so that's why I ended up there. 'Guyism' wanted a daily video series. They told me they were planning on hiring a girl and then hiring someone to write all her jokes. Then they figured it would be easier just to get me, so they offered me $750 a month to do it, which turned into an offer to move to New York and do it full-time for $30,000 a year. 'Garbage Time' was the name I came up with. Midnight was my decision. 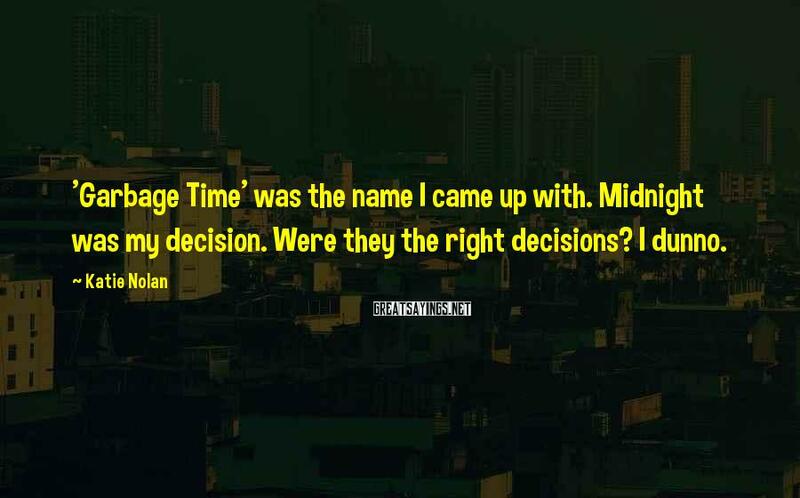 Were they the right decisions? I dunno. 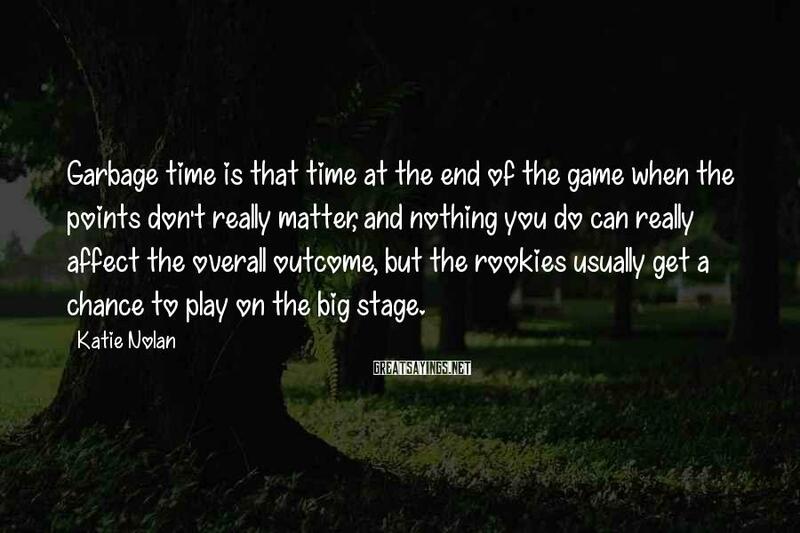 Garbage time is that time at the end of the game when the points don't really matter, and nothing you do can really affect the overall outcome, but the rookies usually get a chance to play on the big stage. 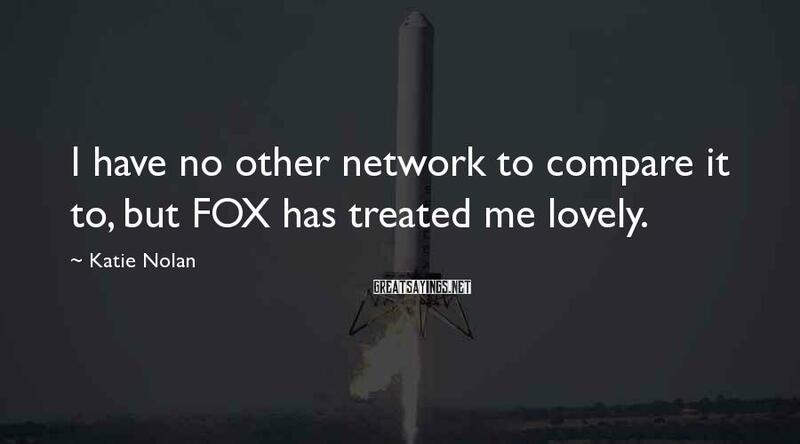 I have no other network to compare it to, but FOX has treated me lovely. 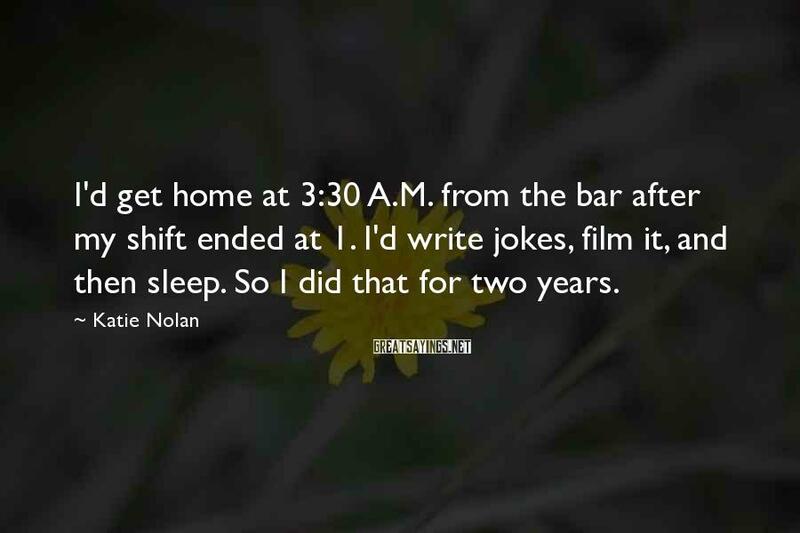 I'd get home at 3:30 A.M. from the bar after my shift ended at 1. 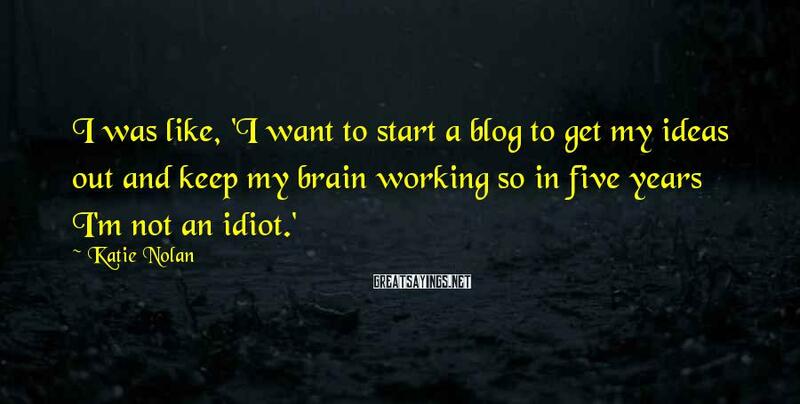 I'd write jokes, film it, and then sleep. So I did that for two years. 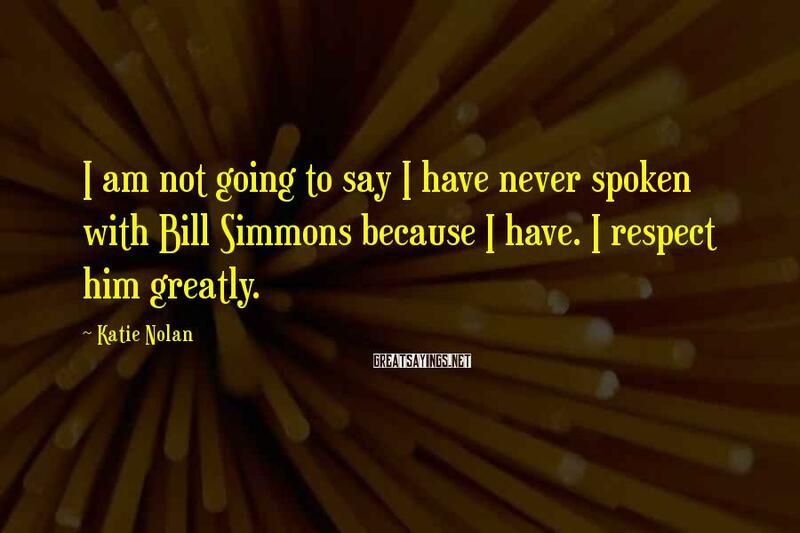 I am not going to say I have never spoken with Bill Simmons because I have. I respect him greatly.